oh perle cotton heaven! ;) love~! LOVE the hand quilted clam shells!!!! It makes me want to go fabric shopping when I see what you do with your fabrics. Oh yes, I am hand quilting on my clam shell quilt right now. 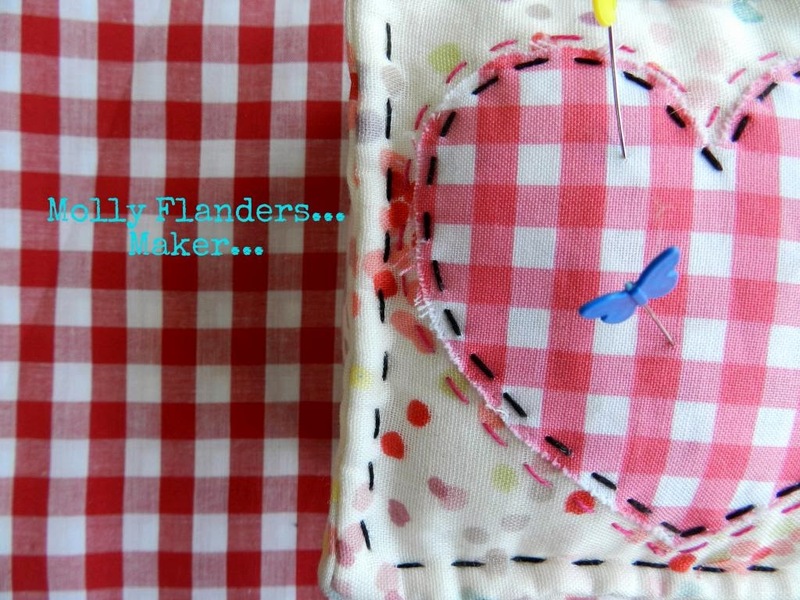 (come see) No big stitches for me...just little old fashioned stitching....Of course, I LOVE big stitches and have a quilt already basted and waiting for some black perle big stitching! Your fabrics are just Delicious! Looking good from here Mary ! Must go and visit Clare as I'd love to see what you do in real life - this screen just isn't good enough! Ooh applique and hand stitching love! Love it! The pictures says so much with the stitching! So pretty!!!! My friend Jessica made a beautiful quilt in a similar clamshell pattern using Drunkard's Path blocks! It's really summery and such a great idea!